If you want to visit Asia whilst in Sydney, catch a train out to Cabramatta (50 minutes by train or drive on the way to Liverpool in Fairfield, the south west of Sydney) and enjoy great Asian food. Actually, it is even more diverse and growing so all the time, with nationalities from over 120 countries working and living there. International cuisine on offer in Cabramatta from over 20 countries in the world, including Vietnam, Malaysia, Thailand, Lebanon, Iraq, Italy, Spain and Turkey. There are also dozens of eateries that serve cheap and delightful authentic Asian fare from other countries including Laos and Cambodia. There are plenty of food stores and speciality shops that make shopping in Cabramatta an interesting change from other parts of Sydney. The greengrocers there sell all kinds of exotic fruits, vegetables, Asian herbs and spices. They are happy to explain how you can use these in your cooking that special dish. The food markets have everything from the glitzy Asian junk foods to the traditional. There are also oodles of speciality shops that sell from trinkets and nic nacs to specialised products as well as fabrics and jewellery. Carol Selva Rajah, chef and food writer offers the Day Trip to Asia tour. 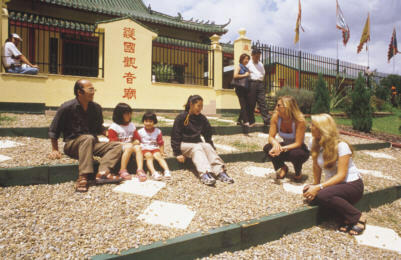 Another place well worth visiting is the Kuan Yin Buddhist Temple for serene contemplation. Or stroll down Freedom Plaza old men gather to play mahjong, sample the Asian delights or just watch the variety of people from all over the world. During December there is the Asian Seafood Festival and in September, The Moon Festival. The Chinese New Year happens in February. 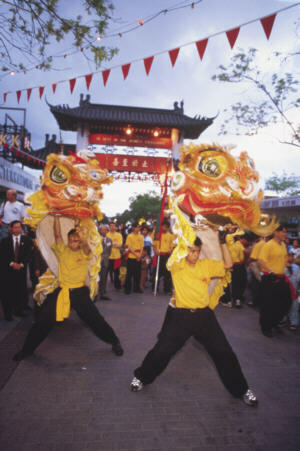 The Moon festival, celebrating the summer harvest in countries like Vietnam, Korea and China for over a thousand years, has 15 days of activities and entertainment. 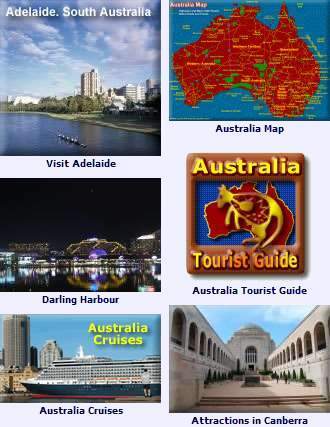 Thought about a working holiday in Australia? Find out more Work in Australia.